It’s not often people actually take the time to write a card to say thanks anymore. So when we got one from kids at the Factory Youth Zone it ‘floored’ us! 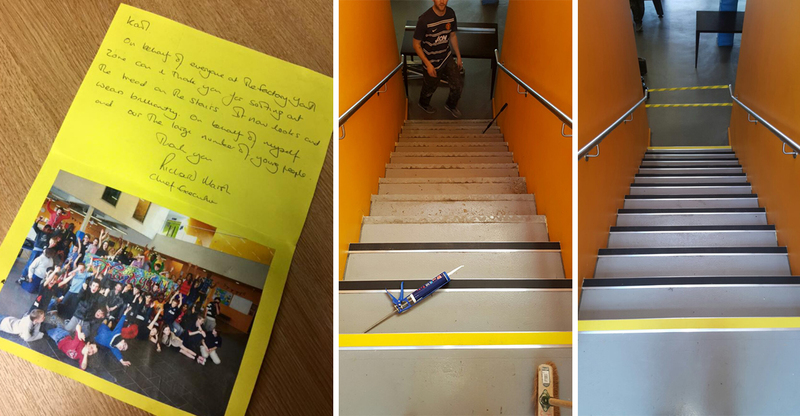 FYZ needed help creating a safer stairway for their lively young’uns so we jumped to and spoke to our friends at Quantum Flooring who kindly donated these bright yellow stair NOSINGS and we fitted them securely, free of charge.